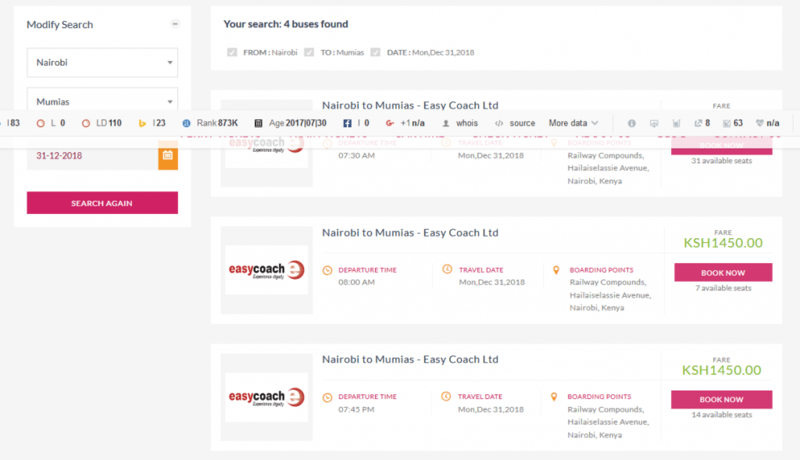 Easy Coach online booking; A Step by Step Guide. Home Services Bus bookings Easy Coach online booking; A Step by Step Guide. Here I am going to show you how Easy Coach online booking can be done. 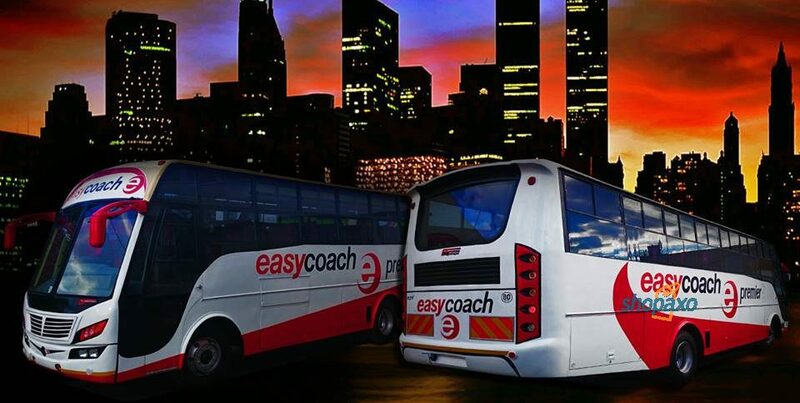 However, before we can do that, it may benefit you to know that Easy Coach is a reputable bus company that plies route to mostly west of the capital Nairobi. Easy Coach also ferries passengers to Kampala in Uganda. How Easy Coach online booking is done. 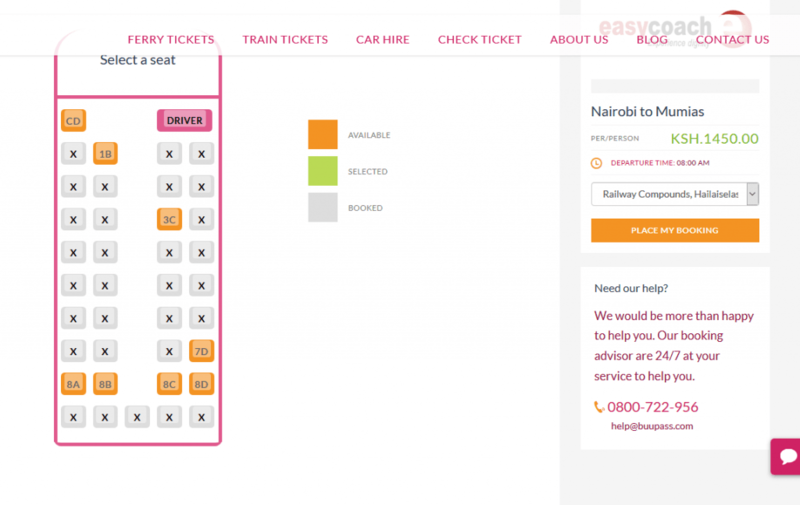 Currently on Easy Coach website, there is no online booking option. To actually book online, you will have to use their online booking partner. Their online partners are BuuPass. 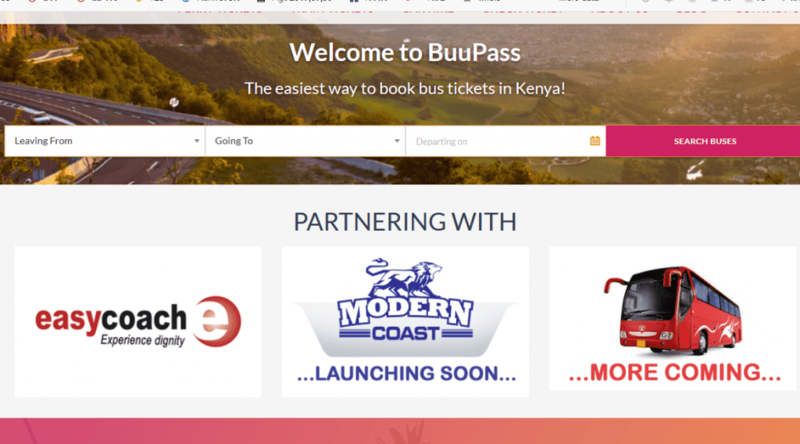 Buupass is a company that provides an online booking platform for major company companies in Kenya. Though at their website, you will notice that they are currently working with Easy Coach, with other bus companies such as Modern Coast and Mash Poa set to follow. To book your easy coach ticket online, just follow these simple steps. Before you can proceed, have some money in your Mpesa Account. Enough for the bus ticket and transaction fees. This takes you to a page that looks this way. Once here, choose the city you are leaving from and your destination. Also, remember to choose the travel date. Once done, hit the “Search Buses” button. If successful, you will be taken to a page that looks this way. You will notice that a list of buses is listed and all are from Easy Coach. As I said Earlier, Buupass currently are only working with Easy Coach. On the top left, to will be able to see the city you are leaving and that you are going to, as you had earlier selected. In my case, you can see that I am leaving Nairobi and going to Mumias. The travel date is also shown. On your right, a list of available buses is also shown. All you have to do, if there are several buses listed is to decide on travel time. This could be either during the day or during the night. Once you have decided on this, choose the corresponding bus. In my case, I am going to choose a bus that leaves at 8.00am to Mumias during the day. So, all I have to do is go to the “Book Now” and hit it to proceed. You will notice that the ticket price is indicated above this button. On hitting the “Book Now” button, you will be taken to a page that looks this way. As you can see, all you need to do is book a seat. Off course from the image above, you can see the seats booked (shown in grey) and available seats (shown in brown). If you select a seat, it will be highlighted in green. So all I have to do is select one of the seats that are available (shown in brown). Therefore, I am going to choose seat number 7D. When I click on this seat, it is highlighted in green color. Now, if you are following, hit the “Place My Booking” button to the right. All you have to do is enter your particulars in the spaces provided as a passenger. Remember if you are booking for more people, you will need to enter all their details. Once done enter the details of whoever is paying, it could be you or any other person. At the bottom of the page that looks this way, agree to the “Terms and Conditions” then hit the “Pay with Mpesa” button. Now it is time to turn to your phone. On your phone a pop message will ask to whether you want to make the payment. The message looks this way. Do you want to pay Ksh. 1450 to easycoach limited account number 246176532465778? Pick ticket from office at Railways 30 minutes before 8.00am. Now you can relax and wait for the travel day. Ensure to go early and pick you ticket as advised. You have successfully done Easy Coach online booking. You can also book from your phone if you do not have access to the internet. Simply dial *877# from your Safaricom line and follow the prompts which are similar to the steps discussed above. Another Easy Coach online booking option. These are the destination the Easy Coach Bus companies and the fares. Book through their partner, Buupass. If you love this article, Share it with family and friends. Safe traveling.